Raw? Mostly.. except the flax wrap itself. The funny thing here is that I didn’t even buy these flax wraps for myself yet I ended up eating them all over a weeks time span. It’s most certainly easier for a vegan to live with and dine with other vegans or vegetarians… or more so those interested in a raw diet.. or those wishing to eat super healthy. 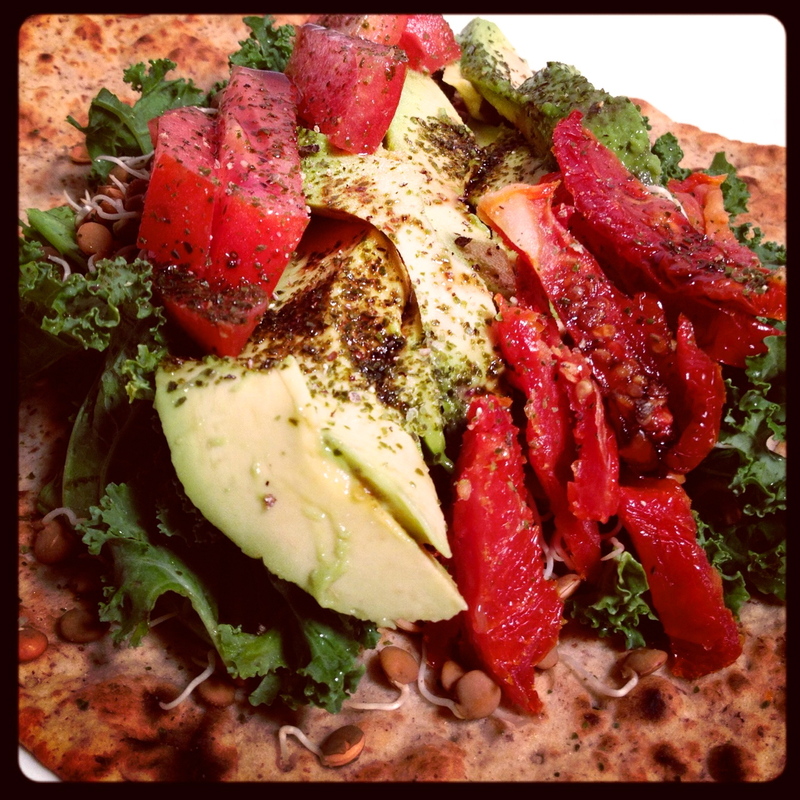 I’m not against this flax wrap- it’s 12 grams of protein but it’s a processed food. These wraps have regular flour supplemented in which does affect the body as most white carbs do. It can make you tired and lethargic. Sometimes however, people want fun and convenience. This wrap made with the following ingredients did make it a super healthy meal in the end. It was loaded with fresh live foods! Next time, perhaps I will learn to make my own flax wraps from scratch!